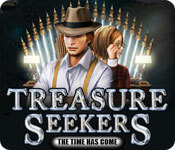 Treasure Seekers: The Time Has Come is rated 4.4 out of 5 by 26. Rated 5 out of 5 by imswak from Seaker Lots of fun! The sound was OK and the hints were just right. Rated 5 out of 5 by MAG57 from Another Great Game! This game was perfect for me. The hint button really helped move me through the game. All sorts of different things in the game that make it fun. A step up from the rest. I'm glad that I bought this game. Played it all day, from morning till night. I couldn't stop playing. When playing, pay close attention to where the little arrow is, that makes using objects easy. More games like this please! Rated 5 out of 5 by arnold1049 from INTRODUCTION TO A GREAT SERIES I loved this game, and I'm going to buy the other Treasure Seekers games, all in the collector's editions. The story was good, the HO scenes and puzzles where great. I don't ever listen to the sounds, as they are distracting, so that is the only reason that area is marked only "OK". I'm looking forward to playing the other games in this series. Rated 5 out of 5 by KimiKanda from Impressive A demanding game, but entertaining. Travel between times, to find certain items, in various locations. 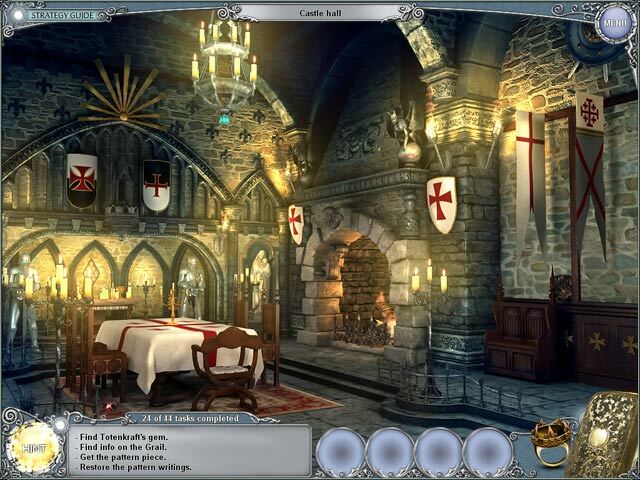 The storyline keeps you focus on the game, without feeling confined or bored. There are lots of items to find and complex puzzles to solve. This game is full of action - "after all you must save the world". Rated 5 out of 5 by usfreedom from Gripping HOG game Follow Tom as he tries to keep the holy Grail out of the hands of Totenkraft. 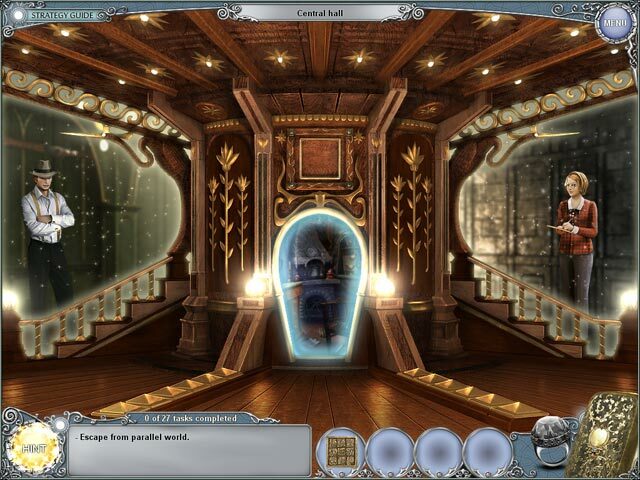 Tom believes that Totenkraft has kidnapped his sister and travels in time to save his sister and the world. Two different HOGs (one straight forward HOG, the other finding items to assemble to create yet a different item). Puzzles weren't too hard and the hint button gives you both direction and reveals objects. Graphics were really good, but some objects you almost HAD to use the hint to find. Very worth the money. Rated 5 out of 5 by RevKellie from A time for every interest Very well designed game that allows you to change between time period (see a temple at it's height, see it when it's a ruin) and through one segment day and night. The ability to change added an extra dimension to the whole game. Music was non-descript, but visuals were good. HOS were well detailed but everything was a fair size to be seen and the "put it together" sequences were fun as well. Story was interesting, as were the time periods our hero inhabits. Puzzles were challenging but not too hard and the skip/hint feature didn't need much use. But its there if you need it. Interesting game with a abrupt ending but good premise and solid game play. Rated 5 out of 5 by merlinarcane from Love the Graphics and Interaction This is the first HO game that I've bought (DD) and enjoyed it immensely. It reminded me of the old Scott Adams' adventure games where you gathered things, put them together, and then solved the puzzles or riddles. The game moves along smoothly and is easy to follow. The traveling between times is a nice touch. It's nice to be able to play casual or timed, since sometimes it takes time to figure out the order of placing things. I liked the game and would recommend it for anyone seeking a game that's a combo of adventure and hidden objects. 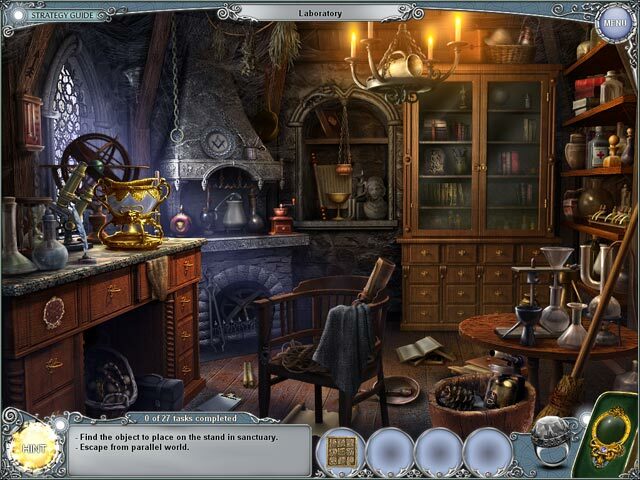 The graphics are really crisp, making the finding of hidden objects easy. The only thing I didn't like was that it doesn't take that long to play. If you like games that make you think a little bit to complete the minigames, then I think you'll enjoy this! A good little game! Rated 5 out of 5 by andibeard from Love this series! This was the first Treasure Seekers game I played, and I immediately downloaded the rest at the first opportunity. I love how these games are designed--good stories, nice graphics, a variety of locales and design styles, and the "construction" quests are an interesting and unique twist on the traditional "adventure+HO" type of game. They are basically linear, with a limited number of screens to visit per "time," so there is a good but not overwhelming amount of challenge. Lots of fun!